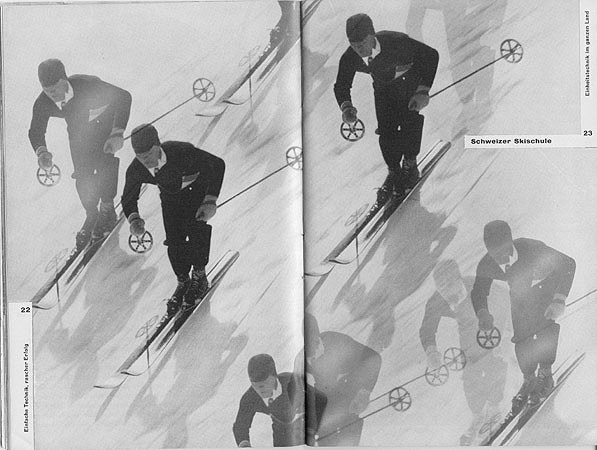 Herbert Matter was a Swiss-American graphic designer and photographer most well known for his posters created using photomontage. 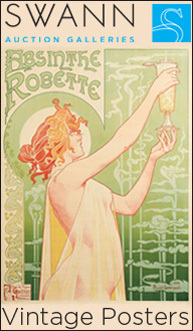 Among many graphic designers Matter is among the most influential. 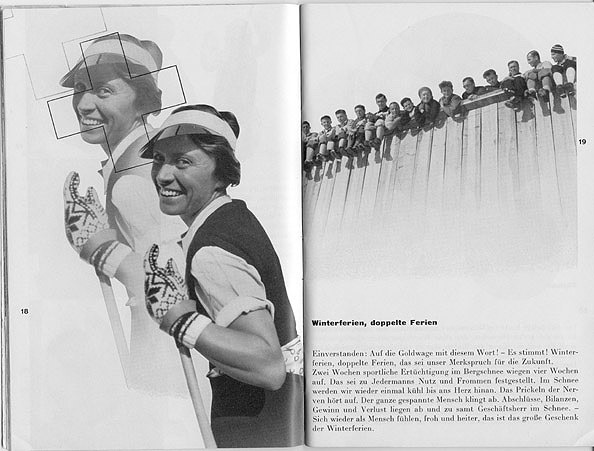 After time spent in Paris, viagra generic remedy Matter returned to Switzerland where he designed a series of poster and brochure campaigns for various Swiss towns as well as the Swiss Tourist Office in Zurich (“SVZ” – Schweizerischen Verkehrzentrale Zürich). 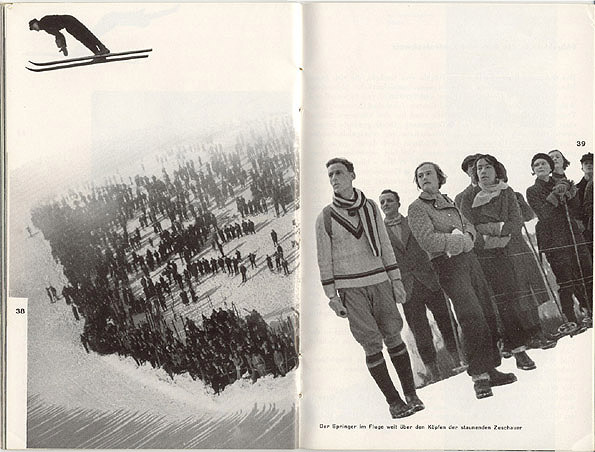 The posters and brochures combined text and photos in photomontages that remain stunning. In these campaigns Matter created variations which were used in different mediums: large size posters, brochures and booklets, print ads in magazines and other uses. 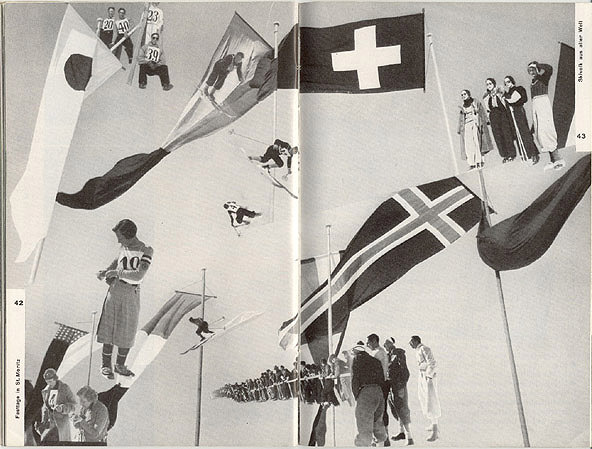 This brochure is a beautiful combination of graphic design, photomontage,and typography all designed to visually advertise travel to Switzerland. It is a wonderful example of ephemera designed at a specific time and in a specific place that endures as a work of art and design. 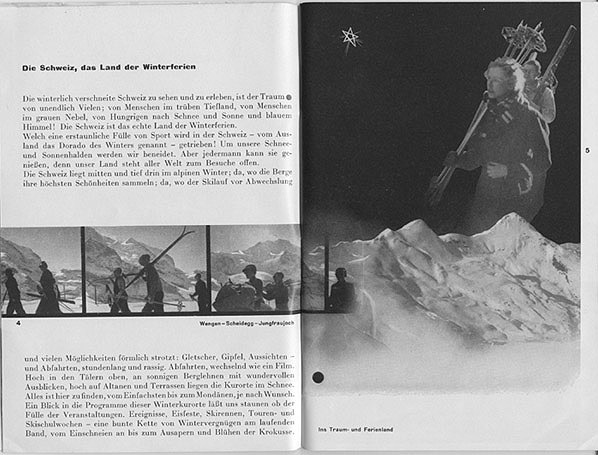 The templates Matter created for the brochures and booklets issued by the Swiss Tourist Office before Matter left for the United States in 1936 became the basis for the print media brochures and booklets published as part of their annual advertising and publicity campaigns up to 1939/1940,that is up to the full outbreak of general European war. These brochures were printed by the Art. Institut Orell Füssli, Zurich. 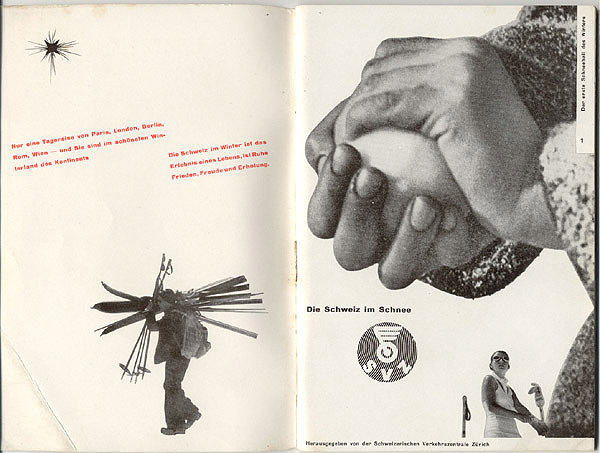 In my collection I have a large number of the original Matter brochures as well as the later brochures and booklets published in this series and in this style after Matter left for the United States. I will post these in due course. 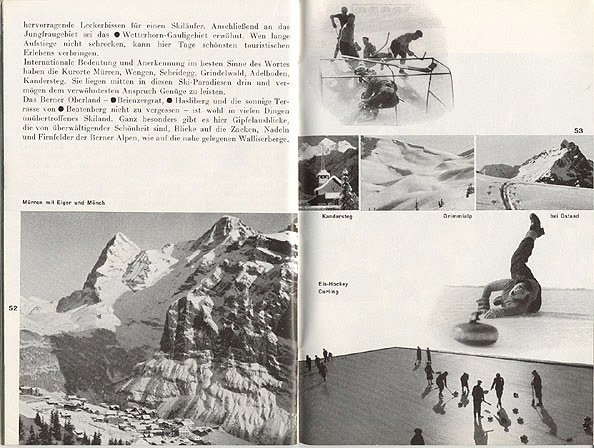 For now, I will start with the first brochures issued by the Swiss Tourist Office designed by Matter in 1936. 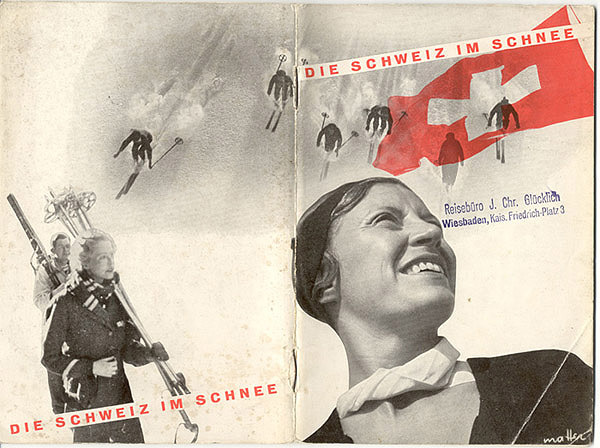 This brochure, in German and titled “Die Schweiz im Shnee” [link to my online gallery] was published in 1936. This particular copy bears the stamp (or “Stempel” in German) of the travel agency, one “Reisebüro J. Chr. Glücklich, Wiesbade, Kais, Friedrich-Platz 3” where the original owner of the brochure got the copy. For me, this stamp increases the attractiveness of the brochure – it adds historical context and authenticity to the brochure – and beauty as well.